Anyone can volunteer for an hour, a day, or more to Prospect Farm with no commitment. 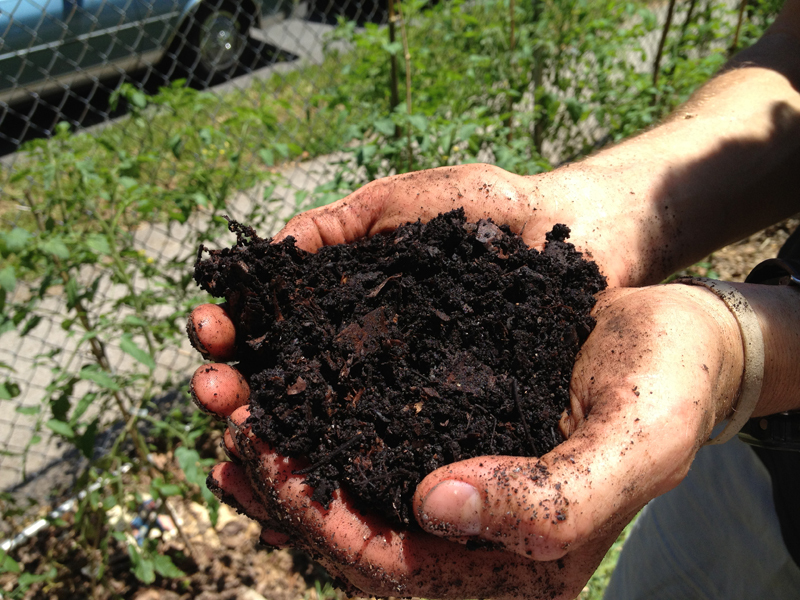 Saturday mornings we have collaborative work time in the hours around the scheduled compost drop-off (11am–noon). 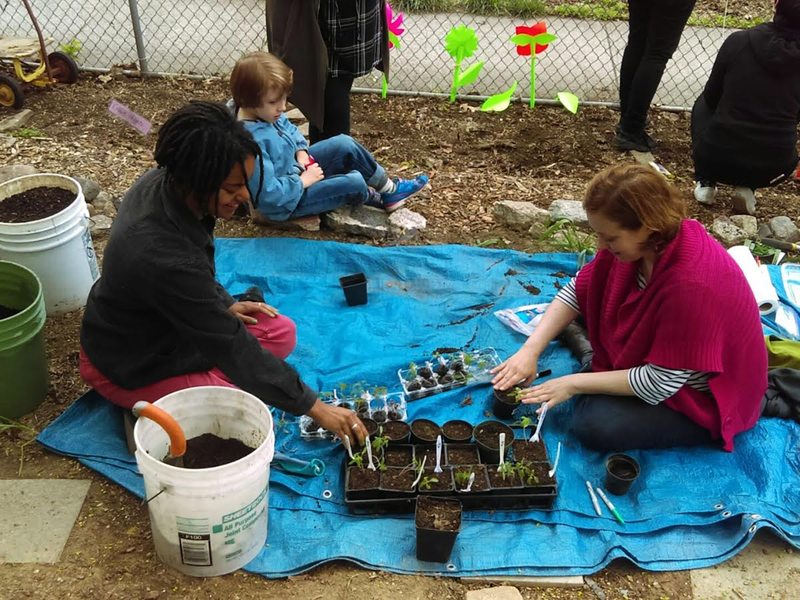 Additional work days will listed on the home page, and you can sign up for our mailing list to hear about more volunteer opportunities. Members work on the farm an average of one hour per week (or 52 hours a year) and contribute $30 a year per family. Work assignments can include overseeing compost drop-off hours and weekly watering/weeding shifts during the growing season, while some members contribute their hours through attending our collaborative work hours (usually Saturday mornings), helping plan events, and assisting with longer-term construction/maintenance projects around the farm. 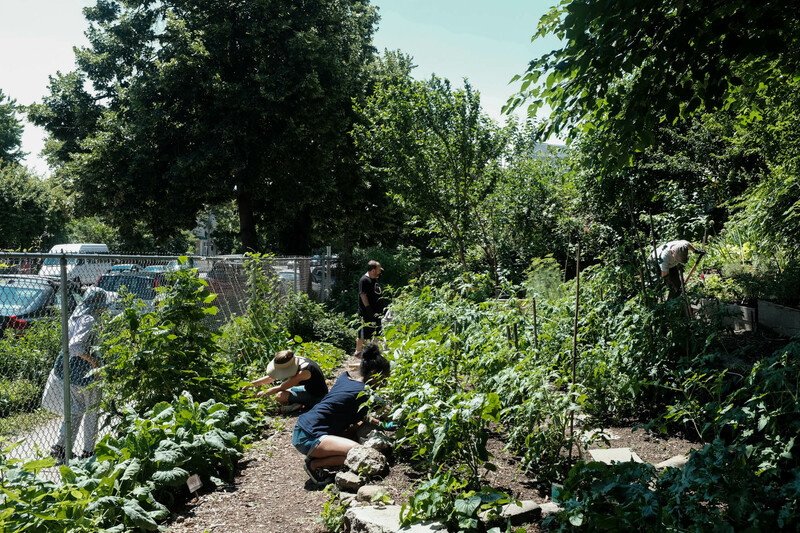 Members are invited to come harvest veggies and herbs to take home throughout the season. Prospect Farm is happy to accept donations of cash and materials. We are a 501(c)(3) non-profit organization, so your donations are tax-deductible.